Maid Right is a local house cleaning service that is completely focused on serving the needs of their clients. This means listening to customers about their cleaning preferences in order to best customize their services. The expert team will come and leave your home looking like new and completely refreshed. When you leave your home with these maids you will return to a healthier space that you can immediately enjoy. They will not just dust some of the shelves but provide a deep clean on a weekly, bi-weekly, or monthly basis. 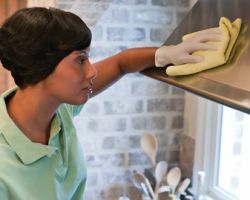 If you are looking for an affordable and dependable cleaning service then Caribbean Cleaning Services has got you covered. This company is known for customizing their services to suit the needs of their clients. If you need your home tidied on a regular basis or given a deep clean every once in awhile, these experts can provide you with it all. Their work is not completed until you are totally satisfied. Part of their customer satisfaction is also offering this work at relatively cheap prices. Merry Maids is a maid service in Phoenix, AZ that has been operating in Arizona and in the industry for over 30 years. This company has been able to maintain their success and popularity by offering a combination of high-quality work and customer satisfaction guaranteed. The professional cleaners go through a background check and intensive training so you can be sure that they will make your home spotless. 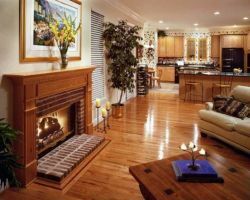 You will love the transformation your home goes through from the time you leave and the time you return after they have cleaned. For a housekeeper in Phoenix you will find no better company than The Maids. This team will come to your home and implement their 22-step deep cleaning system. This is a system that will leave no shelf undusted and no corner upswept. They use only the best environmentally safe cleaning agents to also keep your home as healthy as possible. Providing you with a healthier home environment by eliminating allergens and dust is one aspect of the company reviews rave about. 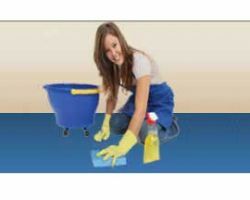 House Cleaning Phoenix is one of the best and most comprehensive Phoenix cleaning services. 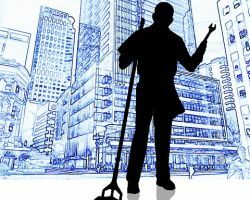 This company offers thorough house cleaning as well and operates as a commercial cleaning service and office cleaning service as well. When you choose to work with this team, you will not get a rough estimate but an actual price that you can rely on to include all of the deep cleaning options you have chosen. The cleaners can provide standard cleaning options as well as customize their work to better suit your needs.